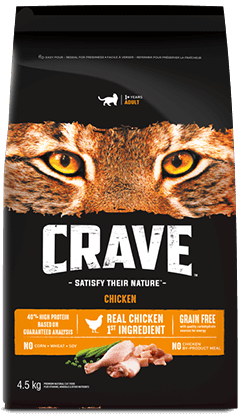 With 40%* protein, CRAVE Adult Dry Cat Food is inspired by a cat's natural diet. 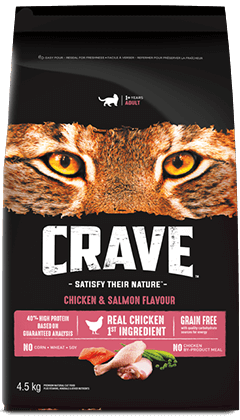 Real Salmon is the first ingredient and these protein-rich recipes provide cats with energy and supports lean bodies. CRAVE Salmon and Ocean Fish Flavour Cat Food is formulated to meet the nutritional levels established by the AAFCO Cat Food Nutrient Profiles for adult maintenance.